Watson and Son premium quality Manuka Honey is pure and genuine from one of New Zealand’s leading producers. Watson and Son Manuka Honey is tested for its Methylglyoxal (MGO) content by a certified laboratory and has an MGO rating of 300+. Watson and Son use a unique rating scale known as the Molan Gold Standard™ (MGS) developed by leading expert Professor Peter Molan of the University of Waikato. Each product is accorded an MGS rating that refers to the level of Methylglyoxal present. 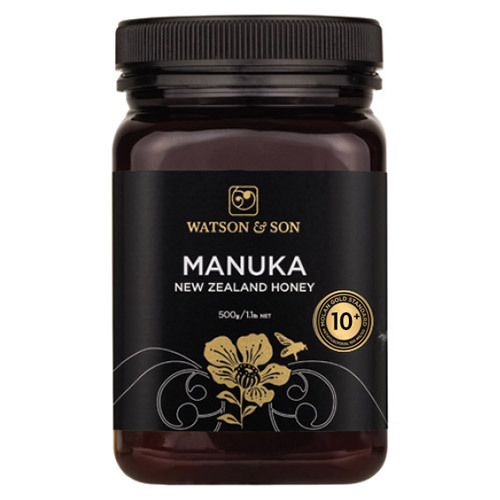 Below are reviews of Watson and Son Manuka Honey - MGS 10+ - 500g by bodykind customers. If you have tried this product we'd love to hear what you think so please leave a review.